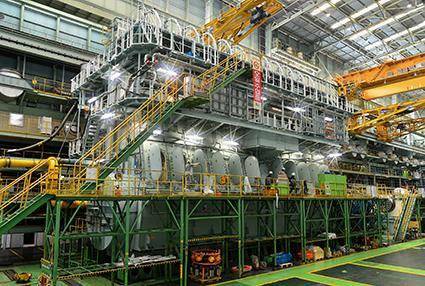 Doosan Engine has reported that the initial start of an MAN B&W 11G95ME-C9.5 two-stroke engine took place during October 2015 at its works in Korea, followed subsequently by a successful shop-test. According to MAN Diesel & Turbo, the engine – rated at 103,000 horsepower – is the largest and most powerful engine from its portfolio ever to be designed and built. 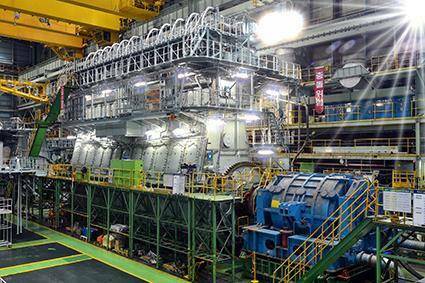 The engine is the first in a series of six bound for six 19,160-teu containerships ordered by one of the world's largest shipping lines, Mediterranean Shipping Company S.A. (MSC). 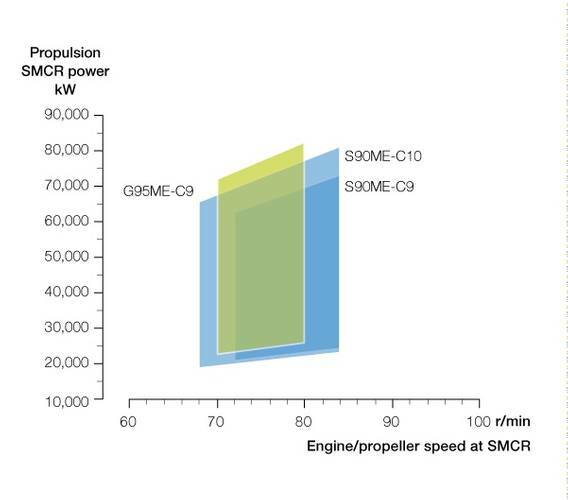 MAN Diesel & Turbo reports it currently has orders for 28 × 11G95ME-C9.5 units, all for vessels serving the international container trade. The G95ME-C9 engine, with a bore of 950 mm and a stroke of 3,460 mm, provides 6,870 kW/cylinder at 80 rpm and 21 bar MEP (in L1) and supplements the S90ME-C9/10 engine types by allowing the engine to be further de-rated thanks to the larger cylinder bore and/or fewer cylinders to be installed. • Diesel • Mediterranean • Mediterranean Shipping Company S.A.